As well as the famous tourist delights, central Florida has fantastic wildlife. 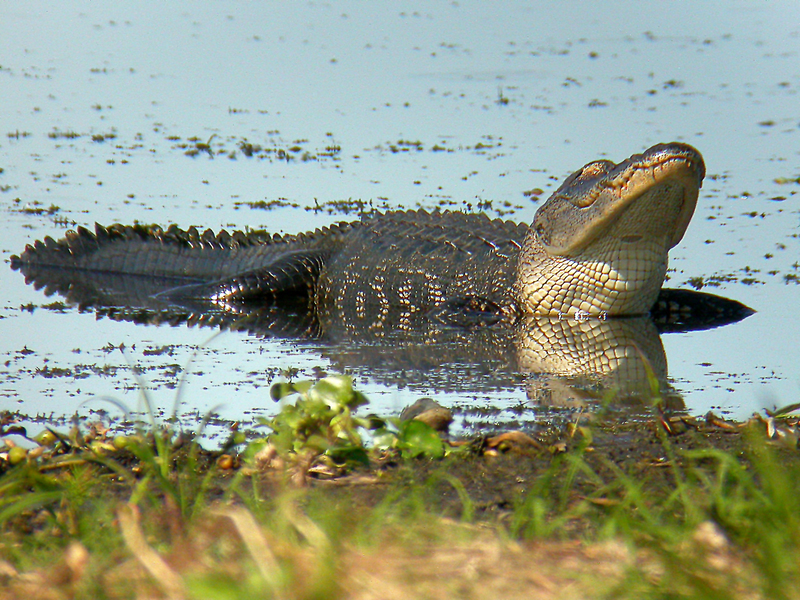 Whether it's the gentle Manatees in the warm springs, the modern-day dinosaurs of lake and swamp, or any of the abundance of spectacular birds which are found throughout the state, there is wildlife all around in central Florida. We are personally very interested in wild Florida and this page mentions a few of the places you might like to go and things you can see there. All the photographs here were taken by ourselves. BIRDS The most striking aspect of wild Florida is its bird life. It is common to see a wide variety of herons, egrets, ibis and other water-birds near our villa (the photo of two sandhill cranes in the gallery above was taken on our front lawn) and many species are present in theme parks, often in considerable numbers. Simply sitting at a picnic-table will attract curious grackles and once the day warms up, it is usually easy to spot vultures (and sometimes eagles) patrolling the sky. A visit to the coast will readily give access to terns, shorebirds and skimmers, while wetlands and ponds, even next to busy road-sides can be full of storks, spoonbills and bitterns. If you have a real interest in more unusual birds, Florida has many species that are found nowhere else in north America and a little research should allow you to find specialties like Red-Cockaded Woodpecker, Snail Kite, Whooping Crane, Black-Hooded Parakeet and the Florida Scrub-Jay, whose entire population is found in the state. On the other hand, it is quite possible to find a great variety of wildlife within a two-minute walk of the villa. ALLIGATORS Gators are everywhere in Florida, having recovered from near-extinction to the point where almost three million (over three feet long) can be found in the wild. They are certainly impressive creatures, some reaching 12 feet in length, but they are not dangerous to people unless you're very, very unlucky (and, generally, do something really dumb as well). So. keep your brain switched on and admire these dinosaurs from a safe distance. ON THE GROUND Many wild animals are to be found at home in Florida. While most are elusive and tend to stay well clear of people, you are likely to see Raccoon in many places as well as Deer. 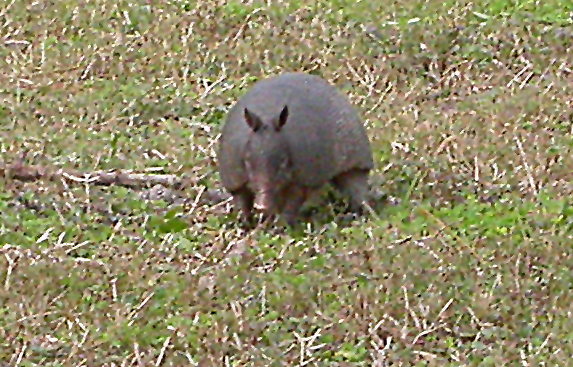 Armadillos are often seen by the roadside in dry central areas and Opossums are common, although they are most often seen as road casualties. Farmland is home to a growing Coyote population and quiet watery areas offer a good chance to see River Otter. 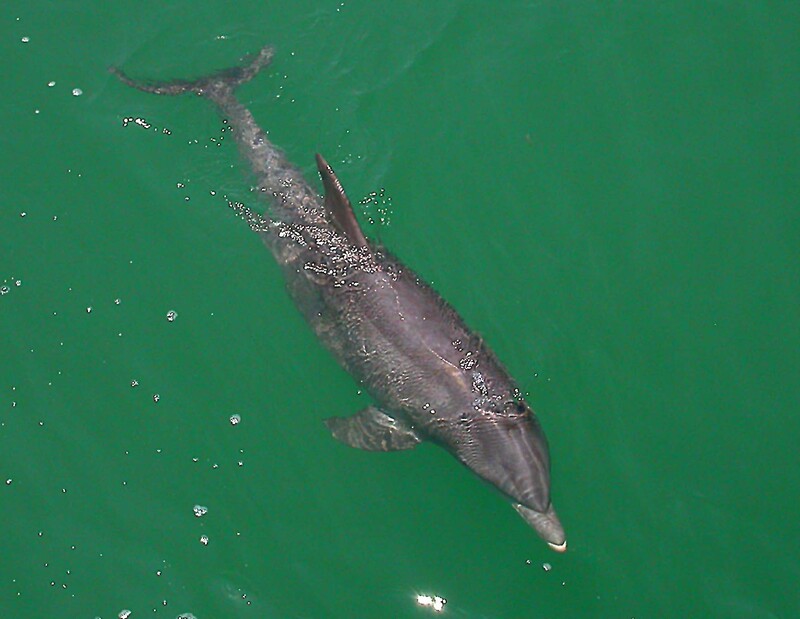 Altogether, over 100 species of mammal are found in Florida. Creatures that live under water are hard to photograph, but easier to see. Manatees can be seen regularly at several spots in rivers (best in colder weather) and Dolphins are seen at many places off both coasts, although it's hard to predict where they will emerge. Try watching for bubbles and activity near the surface in shallow lagoons and inlets. WHERE TO GO There is no way to list the hundreds of central Florida wildlife hotspots, but here are a few with different characters, which all offer additional activities for people less interested in wildlife. On the Atlantic coast, a massive wetland area that shares the island with the Kennedy Space Center. Fantastic for birds all year round, with abundant gators. Great beaches, too, so all the family can enjoy a day out with NASA and on the sand. Situated on the furthest flung point of Tampa Bay, this was voted the No. 1 beach in the USA. There is plenty to do at the historic fort and numerous picnic areas, if you're tired of the beach or the long list of birds found here at all times of year, including Roseate Spoonbill, Royal Tern, Wilson's Plover and Osprey. Great views across the bay to the Sunshine Skyway bridge. It doesn't look anything special, it's just a public open space with picnic area, kids playground, fishing piers and food concessions, on the northern edge of Lake Tohopekaliga and right in the middle of Kissimmee town. 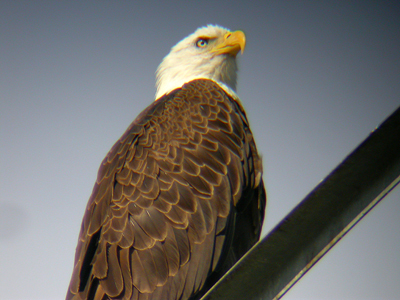 But the photo of the Bald Eagle on this page was taken here, while the bird sat on a TV tower. And there's plenty opportunity for the family to sit under the trees having a picnic while the birders stroll the lake viewing Limpkin, Tricolored Heron and Monk Parakeet. Located 40 minutes' drive north of Orlando city, where over 100 Manatees can gather in the warm water of the shallow spring. Great value boat trips on the St John's River system where you can experience swamps from the inside looking out. An unlikely spot, also known as County Road 523 in Osceola. Simply drive along the road south from St Cloud watching for armadillos, deer, raccoons and birds like Crested Caracara, Red Shouldered Hawk, Wild Turkey, Eastern Bluebird and Loggerhead Shrike. Turn off the road at Lake Cypress or Joe Overstreet Road and drive through dry prairie and farmland - watch how the landscape changes. Most roads end at a lake where you can fish, picnic or just take in the views.